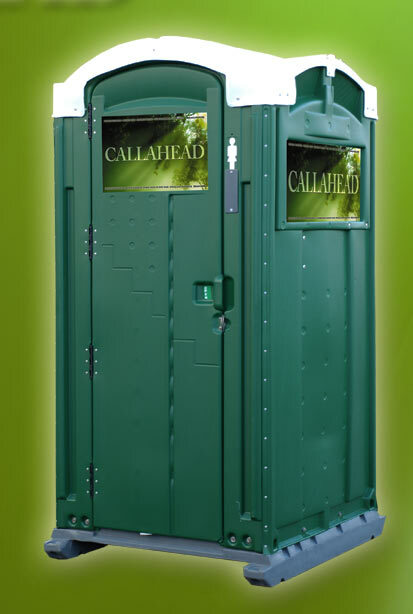 CALLAHEAD proudly introduces the GREEN HEAD portable toilet to our extensive list of unique porta potties for your long term rental needs. The GREEN HEAD is a portable toilet rental that blends in with grass, trees, bushes, or any landscape. 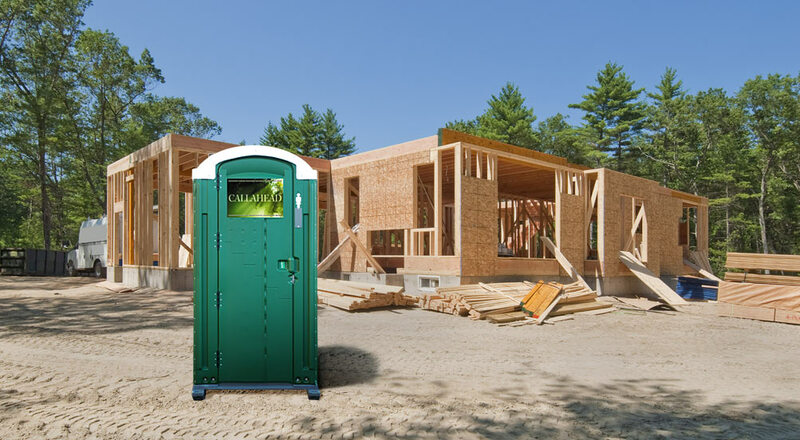 Whether on a contracting job for new home construction, or house remodeling job, the GREEN HEAD is the ideal porta potty to rent for residential construction sites. 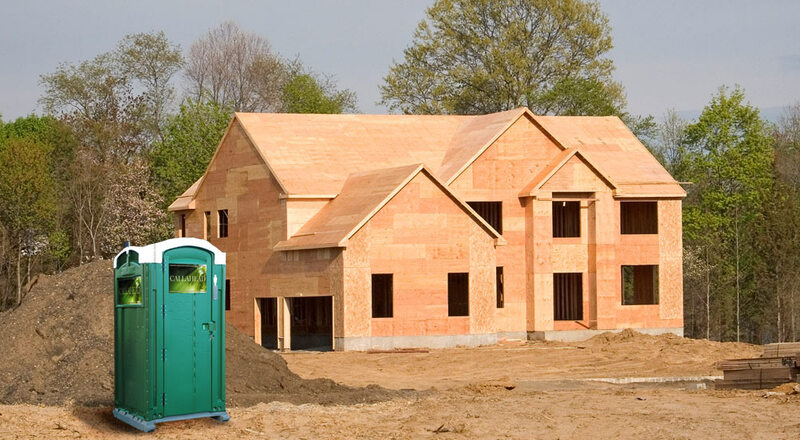 Homeowners and their neighbors will appreciate the GREEN HEAD portable toilet because it is not the usual bright colored portable toilet that stands out on a construction site. This port a potty will definitely be less obvious in the front yard. It operates just like a standard outdoor port a potty, so it very easy to use while also pleasing to look at. The GREEN HEAD portable toilet will give you more for your money due to its style, function, and premium cleaning service only CALLAHEAD provides. The GREEN HEAD is so sophisticatedly designed it will add value to any jobsite. CALLAHEAD’s signature signage has even been custom designed in a garden theme. We used various green colors in our artwork to create a forest design to blend in with nature. The sign reveals you rented a CALLAHEAD port a pottie which provides piece of mind that you have the best in portable sanitation for hygienic protection. The GREEN HEAD portapotty will not only look great on any lawn, garden, or landscape it also has a very large 80 gallon holding tank to handle heavy bathroom usage. It is constructed of durable polyethylene that is easily cleaned and won’t absorb any odors. 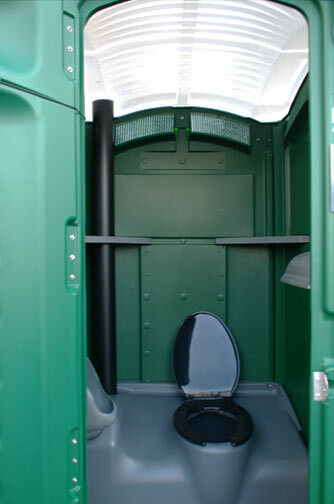 The GREEN HEAD porta pottie has a full sized toilet seat and a separate non splash urinal for comfort and cleanliness. It has a covered triple roll toilet paper dispenser, convenience shelf, and mirror to add to the amenities of this outdoor port a potty rental. The door locks from the inside and has a Hover Handle on the door to allow users a “touchless” restroom experience for their privacy and sanitary protection. The exterior door of the porta potty displays an occupancy sign in addition to a gender indicator for additional confidence for privacy. The GREEN HEAD has a superior ventilation system of several installed air vents plus a chimney stack to eliminate odors quickly even during the warmer summer months. The GREEN HEAD’s spacious interior offers plenty of headroom to accommodate people of all sizes. It is also wide enough for construction workers wearing bulky tools to move freely inside the porta potty while the door is closed. The GREEN HEAD’s translucent white roof supplies plenty of natural light. 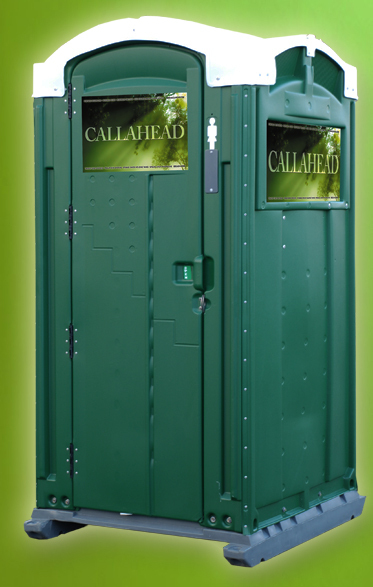 CALLAHEAD supplies the most variety in portable sanitation equipment because we recognize that no long term portable toilet rental is the same. Every construction site in New York is required to have outdoor portable restroom facilities onsite, but each one of them have differences in their requirements, budgets, and tastes. Below is a list of locations and jobsites where the GREEN HEAD standard port a potty is most commonly rented and recommended for. However, this basic portable toilet is an ideal rental for just about any long-term rental location where temporary porta john restroom facilities are needed. THE GREEN HEAD was designed not only to provide excellence in portable sanitation, but to blend in with the colors of nature. 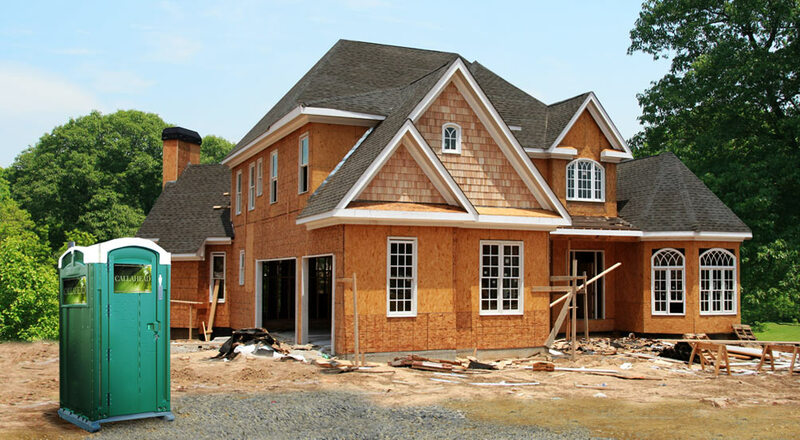 Private homes and residential neighborhoods will particularly choose to have a portable toilet that is less noticeable. The GREEN HEAD is the perfect port a pottie to rent for home construction, golf courses, sport fields, playgrounds, parks, farms, and just about any location in need of outdoor portable toilets. Best of all, it won’t inhibit the landscape. 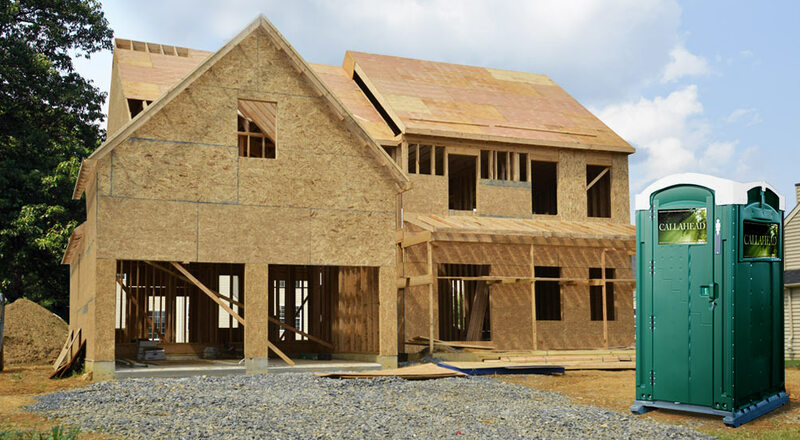 CALLAHEAD services all of New York City’s five boroughs of Manhattan, Brooklyn, Queens, Bronx and Staten Island including Long Island’s Nassau and Suffolk Counties all the way to Montauk Point, and all of Westchester. CALLAHEAD is known for our signature shiny clean service vehicles. We have the cleanest vehicles on the road which proves we provide the utmost in sanitation service in the field. No other company can match our trained uniformed service technicians who will sanitize and detail your GREEN HEAD porta potty to a shine at each service. We sanitize each portable toilet with hospital grade disinfectant to where you can not only see, but feel it is clean for your hygienic protection. 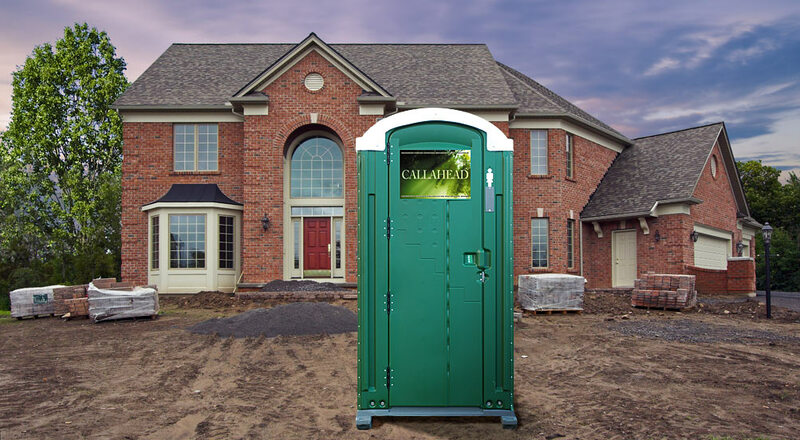 For almost 40 years CALLAHEAD has been providing New Yorkers the best in portable sanitation equipment that is unmatched anywhere.